Internet Protocol Version 4 (IPv4) is a data communication protocol that is used to transfer data across different networks. Unlike other similar technologies, this one has connectionless protocol that relies on the packet switched layer networks like Ethernet. It is possible to leverage this kind of connection by using either manual or automatic configuration. The type of network you intend to use will help you choose the ideal setting to apply. 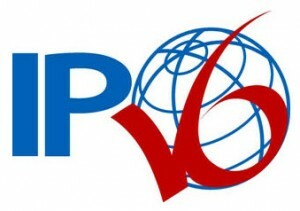 However, despite the limitless opportunities that this technology would bring to the current fast paced and highly digitalized world, global Internet Assigned Numbers Authority (IANA) in February 2011 allocated the last segments of IPv4 address space to five specific regional internet registries. Following this move, experts in this industry warned that all the possible unique IPv4 addresses across the globe would soon be distributed to the various internet service providers. Soon after that announcement by IANA, the entire world would be rocked by a crisis that would affect internet connectivity tremendously due to expected high demand for IP addresses unless. As stated in an article on Network World, the only solution to this crisis would be luring everyone to update to IPv6. The increase in demand for these new addresses soon overwhelmed American Registry of Internet addresses mainly due to increase in the number of mobile devices capable of connecting to the web as well as the rise of Internet of Things. As stated in an article posted on Team Arin, ARIN database of IPv4 addresses is now depleted. The last block of IPv4 addresses from the designated free pool inventory was issued in September 2015. Since then, the number of requests that are yet to be processed has been increasing every day. Since the announcement of IPv4 free pool depletion, the IPv6 request traffic has significantly increased primarily from end-user organizations and internet service providers. It is also important to note that the number of recorded IPv4 transfer requests has steadily increased as expected after the depleting of the IPv4 pool. What most people fail to recognize is the fact that a lot of work is being done in the background that will result in an even higher increase in transfer request traffic. However, IPv6 is expected to salvage the situation by allowing more people and devices to communicate smoothly on the internet by creating IP addresses using bigger numbers. This is based on the fact that IPv4 is only 32 bits long and so only 4.3 billion unique addresses can be generated. On the other hand, IPv6 is 128 bits long, and so approximately 340 trillion IP addresses can be developed. According to a post on Fish Tech, in 2016, the 82.6% of all IP addresses in the United States are IPv4, but this will change as more people and organizations from all across the globe start to embrace IPv6.